Spacious, temperature-controlled 66 Sq Ft storage room AND two storage lockers all located on the same floor! In Kaka'ako, space is a premium. Can be purchased alone (Anaha residents only) or with unit #805 (see separate MLS listing). 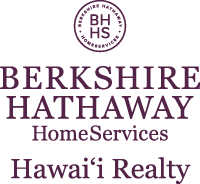 I am interested in 1108 Auahi Street UNIT S-303, >, Honolulu, HI 96814. Sign up for Inside AccessTM to view recent sales near 1108 Auahi Street UNIT S-303, >.